Location: Butunde Village, Toloso Location, Bungoma West Sub-county, Bungoma County. It is with deep sorrow in our hearts that we announce the demise of our beloved mother Mary Omoche Saisi. Daughter of the late Daniel Omuyoma and late Phanice Woka of Bunyore Ilungu Village, Vihiga County. Wife of John Rogers Saisi of Butunde Village,Toloso Location, Bungoma West Sub-county Bungoma County. Mother of Moses, Mickey, Tom, Loice, Christine, the late Lucia, the late Julius, Hellen and Dorah. Grandmother of Betega, Salim, Phanny, Hafsa, Racheal, Esther, Kaylynn, Munyenye, Marvin, Owen, Ambrose, among others. Mother-in-law of Humphrey, Andrew, Philip, Benadette, Rahma and Grace, Sister of Dorcus, the late Miriam, the late Sophia, Sam Mutesa,Selina and Joyce. Aunt of Dr. Masasabi, Bramuel, Prof. Masinde, Paul, Jason, Dr. Muyekho, Clapperton, Caleb, Isaac, Peter, Cheng’asia, Nelima, Kabaka, Joshua, Akinyi, Dan, Eunice, Odhiambo, Nyongesa, Julius and Namasake amongst others. 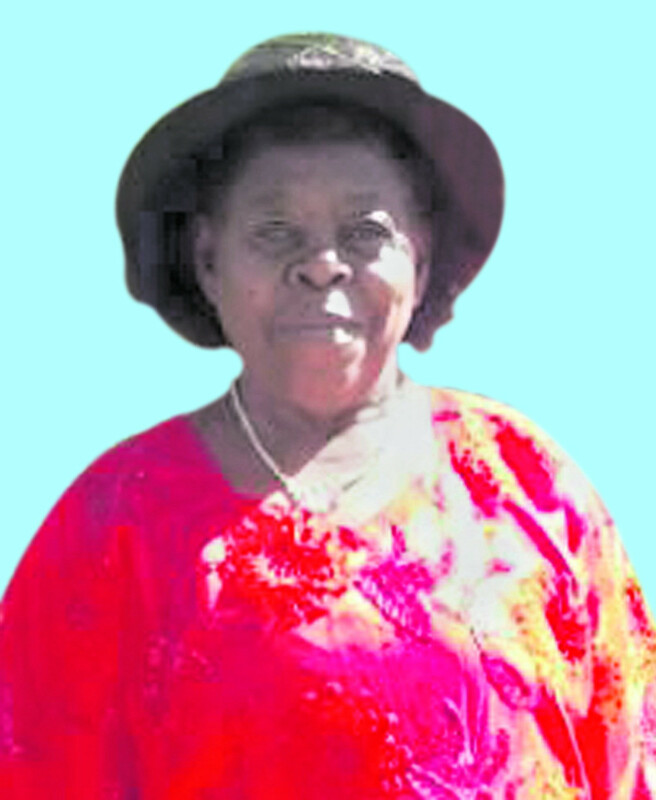 Sister-in-law of the late Joseph Masababi, the late Jeremiah Lusweti, David Wamalwa, Philip Saisi, James Masinde, Japheth Lusweti,the late Lena, the late Joan, the late Joyce. Phoebe, Grace, Sarah, Priscillah and Rispah. Burial service will be held on Saturday 19th May 2018 at Butunde Village, Toloso Location, Bungoma West Sub-county, Bungoma County.